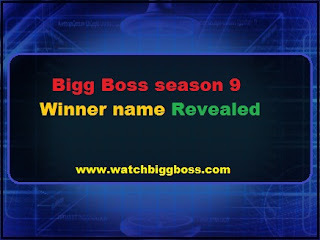 Bigg Boss season 9 Winner name Revealed : Hello Guys. So Finally Bigg boss season 9 has come to its end as today i.e 23rd January is the day when the Bigg boss 9 Grand finale will come on colors channel. So with this post we are here to help you to know the overall happenings from the Bigg boss 9 . Hope you will love this post. Finally after many evictions your favorite contestants have remained in the house and their journey in the bigg boss house has been awesome and memorable. Hope you guys too had fun enjoying this season of bigg boss 9. Now in this post we share all the actors and stars who are coming to Bigg boss 9 grand finale to finally Bigg Boss season 9 Winner name Revealed. As you all know the season has come to its final and today is the last day of This season of bigg boss 9. It was a roller coaster ride for the contestants and for the viewers also. Finally Remained in the house are Mandana,Prince,Rishabh,Rochell and we hope you would have done hugea and bulk votings for your favorite contestants whom you want to be the winner of bigg boss 9. So today finally Bigg Boss season 9 Winner name will be revealed to you. Firstly we are really gonna see the huge TRP Peaks for the show in the todays episode of bigg boss 9. Here are the few things gonna happen today. 1) Katrina Kaif is coming to Salman khan's Bigg boss 9 and obviously it's gonna be a Huge entertainment session. 2) Several Dance performances by Bigg boss 9 contestants and various TV stars. 3) Standup comedy by Bharati and Gang. 4) Evictions of the 4 members inside the house. 5) Finally Announcemnt of the name of the winner of Bigg boss 9 name . BIGG BOSS 9 WINNER NAME FOR THE YEAR 2015-16 IS "PRINCE NARULA"
Till now there is only leaked names for the Winner of bigg boss 9. According to the Bigg Boss Contestant "Ali Quli Mirza " He revealed that Prince has Won the show as the shooting is done before hand only. Here is the original post shared by him. So hope You guys understood what Ali is telling regarding the bigg boss 9 winner name. But the official announcement will be done By night 10 pm today. Ok guys hope you had god time reading the post regarding Bigg Boss season 9 Winner name Revealed. If yes the do care to share this post with your friends and family on various social media platforms and Make this post viral. Till then and do whatever you want to do man :P .
Thank you for reading ! Have a great day ahead.